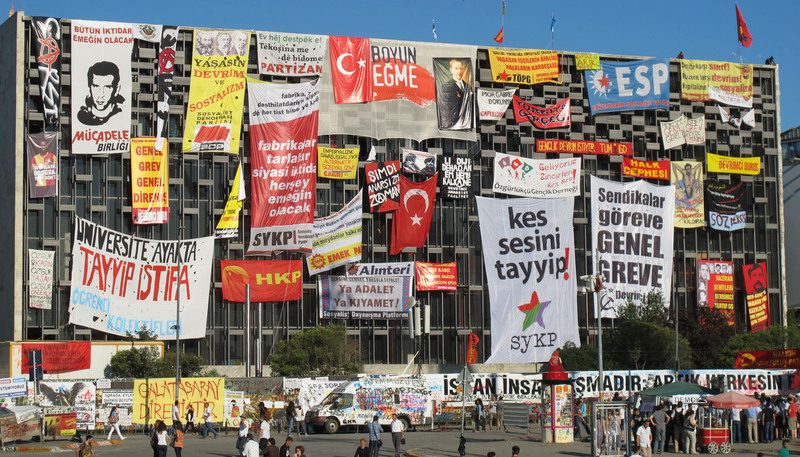 This morning, the 15th day of the civil movement that blew up over the destruction of the Gezi Park in Taksim Square, Turkey’s mainstream NTV channel was on hand, apparently for the first time in two weeks, to film police retaking the square. 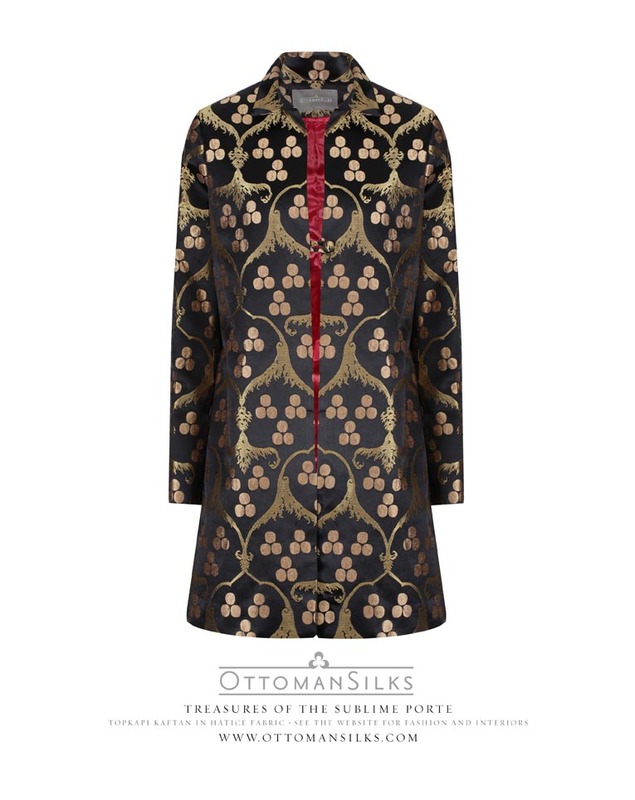 According to the governor of Istanbul, ‘the sole purpose is to remove bannners and placards’. They would stay on just to make sure that they weren't put back up. 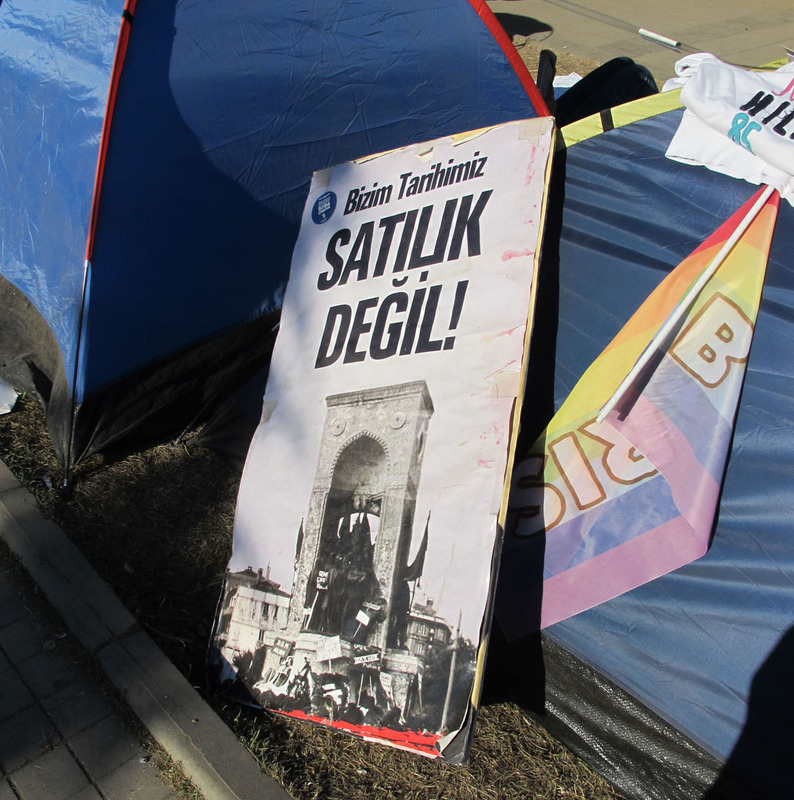 ‘Our history is NOT FOR SALE’ is the message of a poster propped up against a chapulcu tent in Gezi Park yesterday. A key issue in the protests is the government’s selling off of historic landmarks. In a particularly contentious case, the Atatürk Çiftliği, a recreational model farm established by Atatürk in what is now the heart of Ankara, had been downgraded from 1st degree sit alanı (protected area) to 3rd degree in 2011, and is now being built over. Yesterday it was announced that Istanbul would lose its botanic garden, below the Süleymaniye Mosque, after the Presidency of Religious Affairs demonstrated that it had belonged to the clergy in Ottoman times, and that 250,000 trees are to be felled at Erçiş, north of Lake Van. 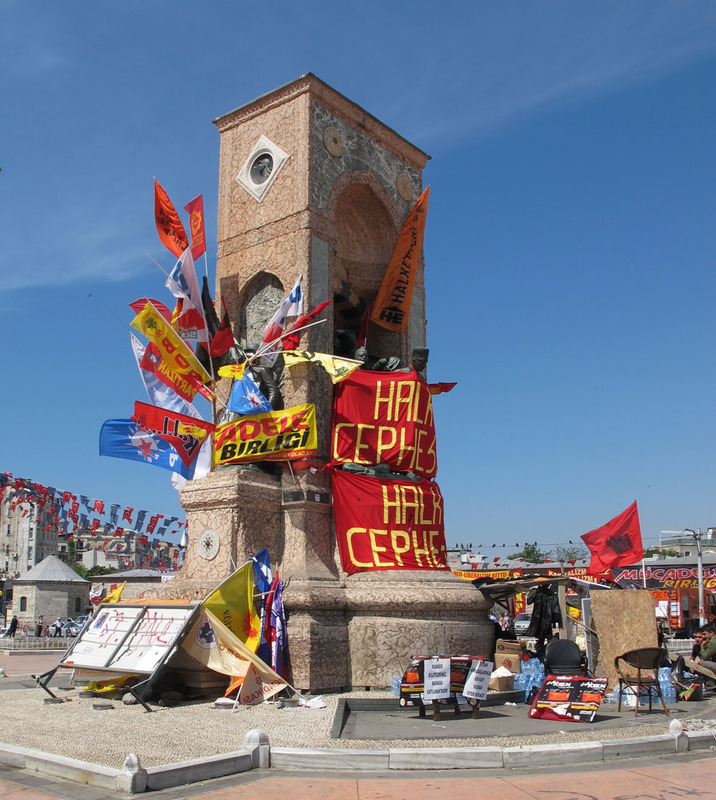 Within an hour of riot police establishing control of Taksim, the Cumhuriyet Anıtı (Republic Monument), seen here on Friday, was stripped of its wacky colourful regalia, and tear-gas bombs were blotting out the blue sky. This sunny postcard is a happy reminder of a time when Taksim briefly became the world’s Speakers’ Corner. Facing the monunent is the AKM (Atatürk Cultural Centre), the operatically decked-out Istanbul opera house. The building is high on the prime minister's demolition wishlist, despite of the Sabancı Group’s offer to fund the restoration of the building and make it earthquake-safe.